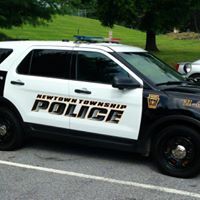 April 7, 2019 At approximately 12:00 am police were dispatched to a Newtown Township residence for a report of a juvenile operating a family vehicle without consent. Upon arrival, police spoke with both the complainant and the juvenile, and it was determined that the 17 year old juvenile male would be charged with Unauthorized use of vehicle. A Newtown Township resident was contacted after she sent an email to the department regarding a suspicious message left on her phone. The resident explained to an officer that a male caller left a voice message which included profane and obscene language and provided the phone number for the caller. The message alleged that her phone number placed a call to his home. The officer confirmed to her that our department has received other complaints and in fact the scam is called “spoofing” by person(s) unknown. Police called the person who left the alarming message to explain the scam and advised him that his reaction was inappropriate.